The national Safety Council reports about 6 million auto collisions take place annually, including approximately 2.5 million rear-end collisions. In many of the rear-end collision cases, the one or more drivers has violated their implied Driver Care responsibilities. As you will see from reviewing the most common causes of rear-end collisions, the driver’s negligence can cause accidents that inflict serious injuries on passengers in either vehicle. Tailgating – Many states have eased restrictions on tailgating but this remains the biggest cause of rear-end collisions because when the unexpected halt happens on the road, the following driver cannot stop in time to prevent a collision. In rear-end collisions, surprise also adds to the seriousness and shock of the injury. Driver Inattention – Distracted driving is at epidemic levels in the US and is a leading cause of rear-end, front-end and side swipe traffic accidents. Loud music, conversation, looking away from the road and cell phone use and texting are huge contributors to this cause of rear-end collisions. Weather Conditions – Slick roads, ice, high rain, snow, slush and many other weather conditions make it so difficult to come to a sudden stop that rear-end collisions including chain collisions can occur at any moment before, during or after foul weather. Driver Intoxication – Drivers operating under impaired conditions do not have the reflexes to respond to a roadside surprise. When passengers are drinking, it can cause distractions for the driver and lead to a rear-end collision that can cause serious harm. Road Defects – Potholes, damaged “Stop” signs, and malfunctioning traffic lights have all led to rear-end collisions. Drivers must be attentive to navigate these obstacles that can happen at any time. Construction – Construction can lead to unexpected delays and sudden halts in traffic. Though construction delays are necessary, it is easy to become impatient. There really is no good reason to rush through work zones. Faulty Brake Lights – If the brake lights malfunction, the driver behind your vehicle can be easily surprised if you stop suddenly. Failing brake lights cause many rear-end collisions. Whiplash – When the neck, shoulders and spine suddenly move or snap, whiplash occurs. The effects of whiplash can be painful and prolonged. This is the leading injury in rear-end collisions. Back Injuries – Another common injury due to rear-end collisions is back injury. When the back is jarred the spine can suffer compression or in many instances lower back disk herniation. Every back injury can have serious repercussions and should be treated professionally as soon as possible. Visit our page on spinal cord injuries for more information. Face and Head Injuries – Many rear-end collisions occur at speeds around 20 miles per hour, when the vehicle’s airbags are set to deploy. Whether the airbag deploys or not, face and head injuries often occur in rear-end collisions. Lacerations, contusions and abrasions are usually minor but should be checked and treated. Seatbelt Injuries – Seatbelts save lives. But, when the torso thrusts forward without warning, the seatbelt can cut into the skin and bruise the hips, chest and torso. Often these injuries are not immediately apparent and can worsen in a few days. 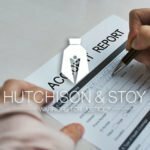 The personal injury attorneys at Hutchison & Stoy, PLLC in Fort Worth, Texas recommend that victims of rear-end collisions take their time to assess injuries and take the time to receive medical care. If possible, gather as much evidence about the accident, including pictures, as possible. If able, make sure the police have the right information when completing their accident report.Make sure the police report to the scene and do not leave the scene of the accident before they arrive and take charge. 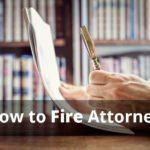 Make sure the report is accurate and try to gather names of witnesses. Visit our page on what to do after a car accident for more information or review our auto accident FAQ’s. Victims of rear-end collisions need legal representation. 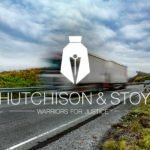 Contact the Warriors for Justice, Hutchison & Stoy, PPLC at 817-820-0100 or fill out a free case evaluation online at your earliest convenience to request a free rear-end accident case evaluation. We are on your side. Give us a call and put your mind at rest.